What Drove Motorola Solutions’ Earnings Beat? How Is Motorola Solutions’ Avigilon Acquisition Faring So Far? Is The Motorola Solutions Rally Justified? What’s The Outlook Like For Motorola Solutions? How Did Motorola Solutions’ Software Business Fare In Q4? Motorola Solutions (NYSE:MSI) published a better than expected set of Q4 2018 results on Thursday, driven by strong land mobile radio sales in the Americas and the EMEA region as well as continued growth of the company’s software business. While quarterly revenues grew by roughly 15% to $2.3 billion, adjusted earnings grew by 25% to $2.63 per share. 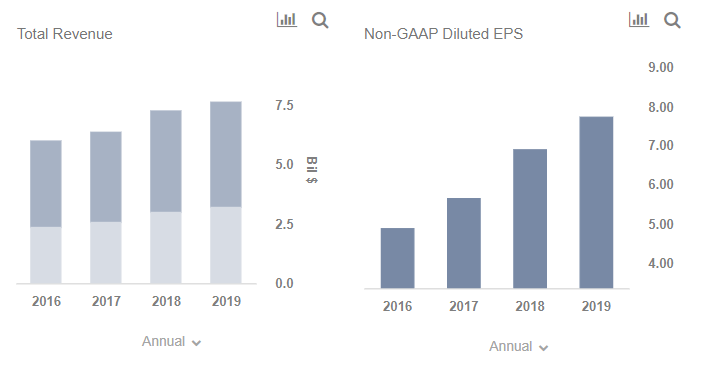 For Q1 2019, the company has guided for year-over-year revenue growth of about 11%, with its adjusted earnings projected to come in between $1.11 to $1.16 per share. We will focus this note on the company’s services and software operations, which are likely to be a key driver of its business in the long-run.